SIP Trunk Hardware - Improving Communications | 8x8, Inc. Businesses trust their software with the most important aspects of their what they do. Money, clients, legal agreements branding...it all runs on sophisticated data networks. Why would they not do the same with their phone system? With the amount of data that we move around every day, there's no reason not to include voice and communication as well on the network. SIP trunk hardware is making that possible and making it preferable to the standard phone. For many reasons, a lot of people are emotionally attached to the security of having a landline telephone—they understand it, it's reliable and requires hardly any maintenance. But the trusty old Public Switched Telephone Network (PSTN), the phone system which has remained largely unchanged since the 1970's, is quietly being replaced by a system that can do so much more and integrate better with the way we live our lives today. SIP Trunk hardware (Standard Internet Protocol) is fundamentally changing telephony and, in a few short years, it's likely to be the only solution available. The simple fact is that it's almost impossible to innovate and develop new applications on PSTN systems. It is what it is. But engineers and developers are constantly working on SIP trunk systems to make them faster, improve the sound, integrate with other applications, use alternative forms of communication, like video and chat, and so much more. When we speak about trunks, we are referring to a communications line or link designed to carry multiple signals simultaneously to provide network access between two points. SIP Trunks are a type of phone line trunks which are delivered using the SIP protocol. Using this easy-to-use protocol, telecom service (VoIP) providers connect one or more channels to the customer’s PBX. Standard phone numbers are linked to the SIP trunk and the numbers that are associated with a business can usually be ported to the SIP Trunk. What will the world look like without miles and miles of telephone wires running alongside every road and into every building? It's already happening. 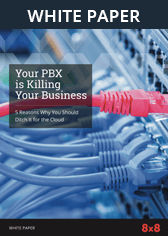 PBX provider 3cx.com reports that "Phone companies like Verizon will phase out ISDN in the U.S. by 2018. In the U.K., ISDN lines are down to less than 3 million lines, from 4.7 million lines in 2007 and the trend is accelerating. In 2017 major telcos such as BT, KPN, France Télécom, Deutsche Telekom and Telecom Italia began to phase out ISDN lines." When they consider switching to VOIP, companies cite a number of reasons for the change. There is often resistance from the staff who have grown used to the ways they work. But once a company ports all its contacts and begins using the new system, then the users begin to experience the improvements and become ambassadors for the new system. Read the full PSI case study here. Call Cost Savings: You'll experience a dramatic reduction in the cost of calls, particularly in international calls and many service providers offer unlimited calling plans. Line Rental Savings: The cost of installation of multiple lines is practically eliminated. Cloud-based servers have almost unlimited processing power and can easily handle multiple lines. Better Customer Service: An agent connected via VOIP can dramatically improve service. Caller ID, integrated information and client history, connectivity to calendars and other relevant applications transform the customer experience. Portability: The nature of work today sees far more agents out in the field and away from their desks. SIP Trunk Hardware still lets you reach the right person using the same number no matter where they are. Entire offices can change locations, even cities, and keep exactly the same numbers, without clients ever being aware of the upheaval. A revolution is underway in telecommunications, and no-one will remain unaffected. While regular phone systems are still viable, forward-thinking consumers are being proactive with their call systems and embracing all that SIP Trunk Hardware can offer their businesses.